After all the hustle and bustle of the holiday season it’s nice to relax and say we made it. May 2014 bring joy and prosperity into your life. 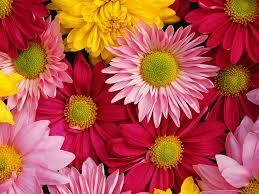 You would be amazed at what a difference flowers can make in your life. Start your new year off on a positive note right from the beginning of your day. Participants of a behavioral study conducted by researchers at Harvard University and Massachusetts General Hospital confirmed that they feel least positive in the early hours but reported being happier and more energetic after looking at flowers first thing in the morning. The final study results demonstrate that flowers impact people emotionally at home, causing them to feel less anxious and more compassionate. They even reported a boost of energy that lasted through their day. We sell flowers by the stem or the bunch wrapped for you to take home and place where you can see them first thing in the morning. The holidays can take a toll on finances so if you’re strapped for cash like the rest of us here are three inexpensive flowers that will brighten your morning mood. 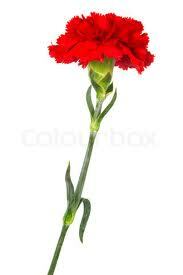 Carnations symbolize pride and beauty. These are the lease expensive and yet longest lasting blooms. They are only $0.75 a stem. 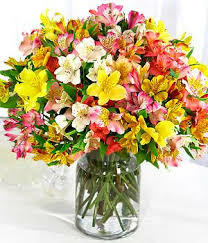 Alstromeria flower is symbolic of wealth, prosperity and fortune. It is also the flower of friendship. Long lasting they run $7.50 a bunch. Next post: Is the season of giving over?? ?